I first came to appreciate ginkgo (ginkgo biloba) trees about 20 years ago when I was collecting fallen autumn leaves for a craft project. I was using pressed leaves to create gorgeous lampshades. Since I placed them not just as scattered elements on the shades, but as a solid field of color and texture, I had to factor into my designs how the leaves’ shapes worked when repeated in a continuous pattern. Most challenging were the highly irregular, lobed leaves like oak and maple; it was nearly impossible to lap one over the next without leaving voids here and there. Considerably easier were the more-or-less round or oval ones, which overlapped in neat lens shapes. And loveliest of all were the ginkgo leaves. 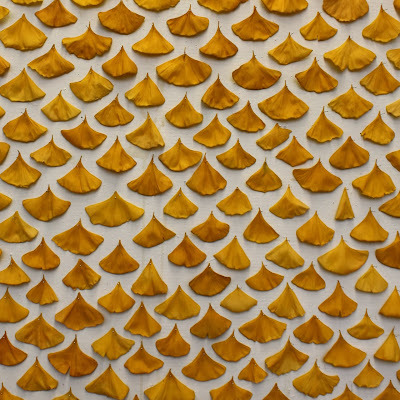 Their elegant fan shapes dovetailed nicely in a beautiful, saffron yellow fish-scale pattern. faced kid who’d just blown lunch. Shape and color weren’t the only advantages of ginkgo leaves. Their flat surface was also far easier to glue down to the shade’s styrene substrate than most leaves, whose prominent veins interfere. Sitting on a bench outside of Frank Lloyd Wright’s first home in Oak Park, Illinois, I was nearly overcome by the smell of vomit. I kept looking around for the pasty faced kid who’d just blown lunch. is revered as a symbol of longevity and vitality. Later that fall, I noticed that nearly all the trees the city of Minneapolis has planted along some blocks to replace the decimated American elm are ginkgoes. As I collected the most perfect of their leaves for my lampshades, I noticed that one or two of the trees on each block was dropping fruit. 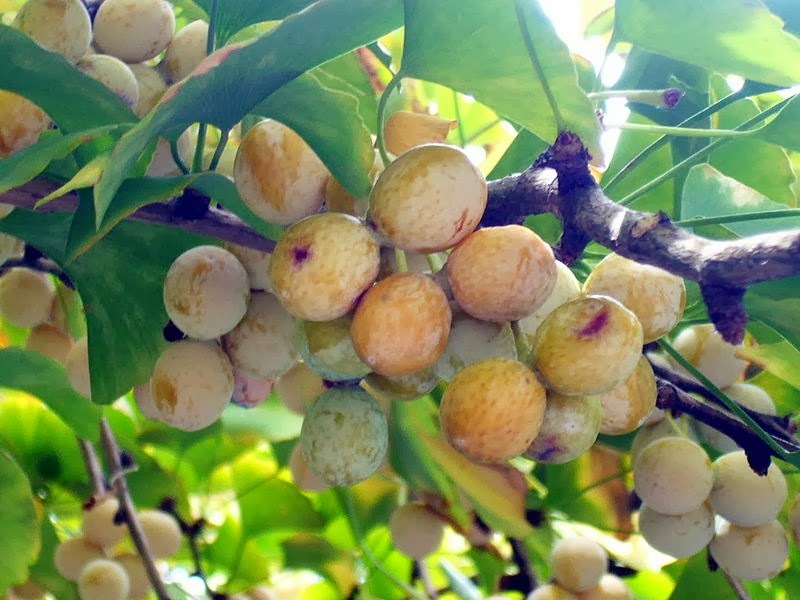 Come to learn that there are male and female ginkgo trees, and that, while city foresters try to plant just the non-fruiting males, apparently distinguishing between them is not easy. So I always watch my step in late summer and fall. 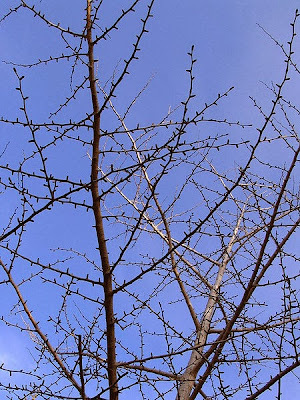 Another unique property of ginkgo biloba is the way it branches—or should I say doesn’t branch. 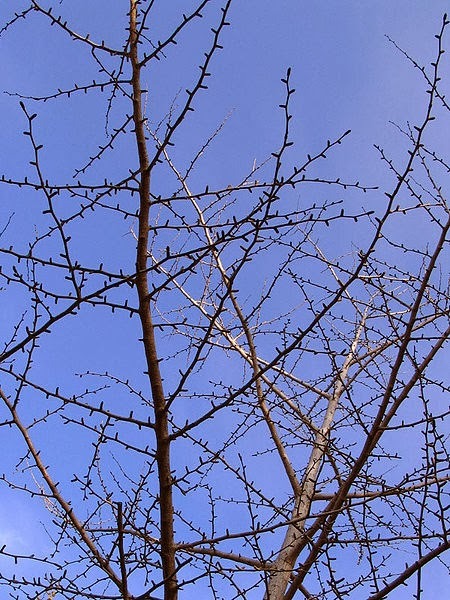 Just as the leaves lack the continuously-branching vein network of other leaves, so the branches seem to spurn the sequential branching so common in other trees. Most of ginkgo’s branches depart from the trunk and simply reach straight out, sprouting nothing but leaves to the very tip. Ginkgo biloba is well known for its purported medicinal qualities. In China, where it is the national tree, ginkgo is revered as a symbol of longevity and vitality. It is used there and around the world to treat respiratory issues, incontinence, indigestion, intestinal worms, gonorrhea, poor circulation, depression, dementia and inner ear problems, among other ailments. While some studies have supported its effectiveness, many have debunked it. So I suppose one could say that, at the very least, it is as good a placebo as any other. 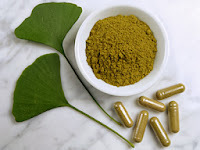 And, since I depend on ginkgo for nothing more than its considerable esthetic qualities, I can say that, in that regard, its potency is undisputed. THE GIFT OF WONDER – Pass It On!